Beyond Compare 3.3.1 0 out of 5 based on 0 ratings. - Added full context menu extensions on Linux for Konqueror (KDE), Nautilus (Gnome), and Thunar (Xfce), with configurable visibility and submenus. - Added support for passing '-' on the command line to load a file from stdin, and added support for FIFOs on Linux. - Copying to/from FTP/SFTP servers now copies the Unix mode (rwx). - Character encoding errors during saving now prompt to use a different code page instead of refusing to save. - Removed prompt to edit read-only files in file views. - Fixed FTP timezone autodetection. - Fixed zips not showing files that have paths beginning with /. - Fixed extracting files from some .7z archives. - Improved memory usage and speed when reading/writing large snapshots. - Added support for passing '-' on the command line to load a file from stdin. - Added "Select All" button to "Find" dialog. - "Go To" dialog supports column selection in the row details. - Removed "characters per line limit" file format setting. - Improved error handling when line is too long (over 65536 characters), particularly for multi-line cells. - Fixed editing key column settings when the default column handling is unimportant. - Fixed crash when loading files with extremely long lines. - Fixed foreground coloring for non-text columns with differences. - Fixed hang using Find dialog's "Select All" and "Wrap Search" options. - Fixed Find "Select All" selecting the current line when it doesn't match the search. - Fixed detection of whether to save before using new file format. - Improved "Bash Scripts" handling of escaped quotes and apostrophes. - Fixed "DisplayAlerts" error using MS Office conversion file formats with Office 2000. - Fixed "PDF Documents" to use unicode handling. - Fixed "MS Excel Workbooks" to use unicode handling. - Improved "SQL" file format string definitions. - Using "Swap Sides" command now preserves the scrollbar position when the cursor is offscreen. - "Compare Files Using" now maintains parent session link. - Fixed thumbnail flashing when a comparison is loading. - Fixed crash when painting the thumbnail. - Fixed crash after minimizing a Find dialog and switching tabs. - Fixed using "Save As" after an external conversion so the default filename matches the input with a '.txt' extension. - Fixed focus changing from the right to left side when opening a new file. - Improved error handling of network errors when loading folder listings. - Fixed symlinks to drive roots being incorrectly detected as recursive. - Fixed renaming a symbolic link with "Follow Symlinks" active showing both the original and renamed entries until a refresh. - Fixed recursive symlinks not getting logged as errors when trying to expand them. - Fixed "Find" "Select All" button so it will select the current line if it matches. - Fixed file counts so they use thousands separators. - Fixed File Filter combobox showing the wrong context menu. - Fixed invalidation when changing filters that only affect one side of a comparison. - Disabled using large buffers to retrieve folder listings on remote servers to help with buggy NAS devices. - Fixed crash when using "Copy file to left and open next difference" in file compare. - Auto-generated session names now include the sync preset name and directional arrows. - Uploading to FTP/SFTP servers now copies Unix mode (rwx) if possible. - Added support for symbolic links in Pure-FTPD's MLSD listing. - Fixed timezone autodetection, and fixed logging positive local biases as off by 1 minute. - Fixed "Generate SSH Key Pair" dialog's "Generate" and "Cancel" buttons to respond to [Enter] and [Esc]. - Fixed FTP connections not respecting the <default> settings for "Limit ports used for active transfers (PORT)". - Fixed crash if a server returns an invalid date in an MDTM request. - Fixed crash when an FTP Profile's "Encoding" setting is set to either "Unicode" or "Unicode (Big Endian)". - Fixed prompting to connect when an FTPS SSL certificate's common name doesn't match the host name. - Fixed connecting to CrushFTP SSH servers. - Fixed freeze when reloading a Text Compare after saving changes and copying them in the Folder Compare. - Text display now uses the system encoding instead of Windows-1252. - Added full context menu extensions for Konqueror (KDE), Nautilus (Gnome), and Thunar (Xfce). They support all of the options the Windows release has. - Added support for comparing FIFOs from the command line. - .bcss files are now associated with Beyond Compare. - Downloading from FTP/SFTP to a local filesystem now copies Unix mode (rwx) if possible. - Improved crash handler dialog. - Fixed errors installing .deb on Ubuntu 11.04. - Fixed text merge crash when painting center editor. - Fixed reports printing without line numbers, titles, or footers. - Fixed load error when comparing RPMs. - Fixed deleting a symbolic link to the recycle bin. - Fixed launching default browser when not running KDE or Gnome. - Fixed support for [Ctrl+A] to select all in edits. - Fixed treeviews not responding to [*] as "Expand All Subfolders". - Fixed focus issues with radio button groups. - Fixed Text "Go To" dialog's default focus. 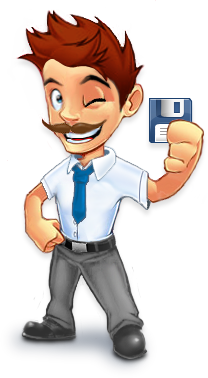 - Fixed current folder for external conversion file formats. - Fixed Hex Compare's background coloring of differences. - Fixed crash when middle-clicking on a tab to close it. - Fixed lintian error in .deb installer on Ubuntu 11.04 and later. - Added [Ctrl+Q] as the default shortcut for "Session->Exit". - XML encoding detection now defaults to UTF-8 instead of ANSI. - Forms now check if active control handles key accelerator, in particular browse edits. - Labels showing partial filenames now include the full path as a hint. - Fixed session tab's "Tear Off" command to affect the right-clicked tab instead of the active one. - Fixed drag and drop reordering in various lists (File Formats, Grammars, etc) so items can't be dropped onto unrelated windows. - Fixed converting dates to text on systems with non-ASCII characters (ex. clipboard title on Greek systems). - Fixed error message for failed Unicode conversions. - Fixed context menu in Text Compare's "View -> Web Pages" display and in "Check for Updates" dialog. - Fixed crash when closing BC while the help window is open on a 32-bit Vista/Win7 system with IE9 installed. - Fixed help window hanging if Beyond Compare's foreground thread is busy. - Fixed updating menus with toolbar visibility when closing undocked toolbars. - Fixed control positions when running on Far East systems with scaled fonts. - Added "Play Both" to "Session" menu. - Fixed crash when comparing MP3 tags with line endings. - Added explanation that Explorer integration requires non-portable install. - Added "milliseconds before incremental search resets" tweak. - "Open With" options page now confirms clearing list. - Tweaked layout for various pages. - Fixed changing "Detect partial file locks on" tweak to enable "Apply" button. - Fixed copying to clipboard. - Added "Open in Text Edit" for files. - Added "Up One Level" spec bar buttons. - Fixed reading .reg files with comments after the first line. - Text "XML Dump" now includes display filter, show context, ignore unimportant, and just selection states. - Folder and Picture Compare report headers now include whether unimportant differences are ignored. - Removed unnecessary "Just Selection" option from MP3, Registry, and Version Compare reports. - Removed unnecessary "Mode" option from "File Summary" reports. - Fixed truncation if a Folder Compare report contains characters that don't exist in the system's ANSI code page. - Fixed Text "Stats" report not to count empty on both sides as added line. - Fixed report generation when using print preview with different report styles without closing the report dialog. - Report layouts that don't use colors no longer offer HTML difference highlighting. - Data Compare report no longer tries to right justify floating point data. - Fixed crash generating a Picture Compare report of an empty comparison. - Fixed shortcuts displayed in hints in the Print Preview dialog. - Added "CRITERIA FOLLOW-SYMLINKS" option to enable the "Follow Symbolic Links" session setting. - Added "FILTER INCLUDE-PROTECTED" option to disable the "Exclude protected operating system files" filter, and "FILTER EXCLUDE-PROTECTED" to re-enable it. - Fixed "PICTURE-REPORT" support for "OPTIONS:IGNORE-UNIMPORTANT". - Added "Locked" to "Session" menu. - Fixed extracting session name/path on CJK systems. - Comparisons launched from PVCS no longer treat the original file as read-only. - Fixed PVCS integration when launched from Visual Studio. - Character encoding errors during saving now prompt to use a different code page, rather than refusing to save. - Improved "Grammar Item" dialog's "Delimited" handling when "to" must be single character (not RegEx, Escape defined). - Improved "Next/Previous Difference" handling and improved performance. - Fixed line endings being inserted when copying wrapped lines. - Fixed "View->Webpages" so it doesn't trigger the file format "Trim trailing whitespace" or "Convert leading spaces to tabs" on save behavior. - Fixed Find matching the last match repeatedly when wrap is disabled. - Fixed character alignment gap handling when ignoring unimportant differences (affects "Next/Previous Difference"). - Fixed "Find Next/Previous" so it doesn't support editing in line mode. - Fixed crash when deleting text with gaps. - Fixed crash when changing horizontal scroll position. - Fixed Replace All with "Wrap search" behavior. - Fixed crash when using "Replace All" with "Show Differences" comparing identical files. - Fixed crash using "Previous Difference" when first segment is character alignment gap. - Removed prompt to edit read-only files. - Declining to edit a binary files when prompted will prompt again at the next attempt instead of disabling editing. - Added "Take Left Then Right" and "Take Right Then Left" to center panel's context menu and fixed position of "Copy". - Fixed crash when using certain commands with a detached output window. - Fixed "Open With" and "Open with Text Edit" in output pane. - Improved error handling of malformed version information.